Four years ago, I came to Wisconsin. And now I am departing. As my farewell to Madison, I curate this pop-up exhibition as a tribute to the city, to my apartment, and to my beloved friends. In my bedroom in this Victorian house, I feel at home. With my friends here, I fell in love with art. 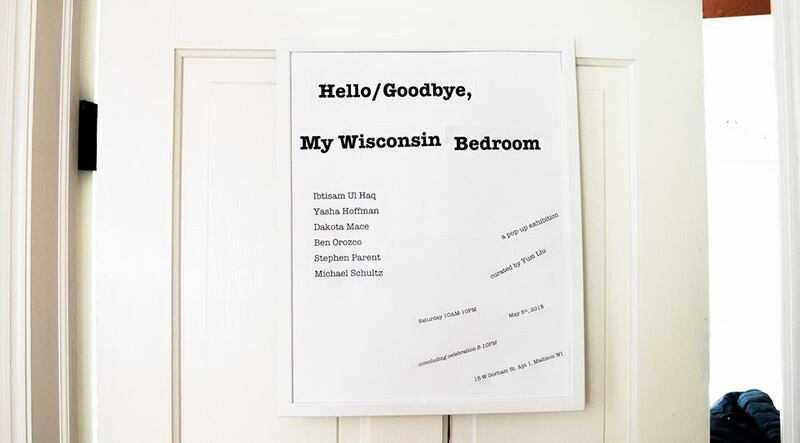 This site-specific exhibition hopes to ignite conversation about private space, personal memories, and Madison, Wisconsin. I open my apartment bedroom for 12 hours, a full circle on the clock. Everyone is welcome.